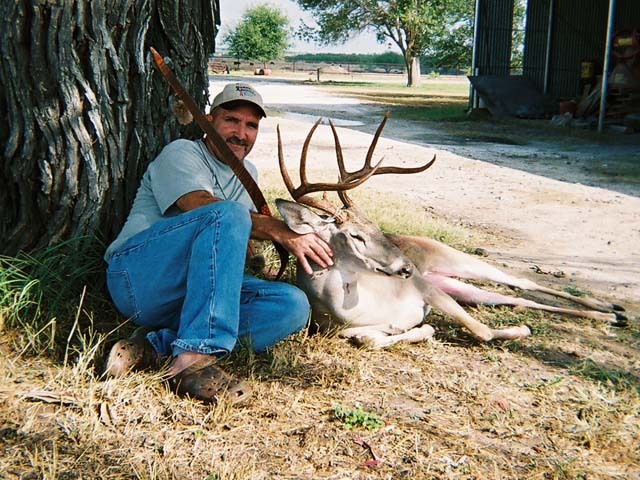 Here are a couple pictures of the 8 point I shot on Monday, Oct. 13th, in McMullen County, TX. 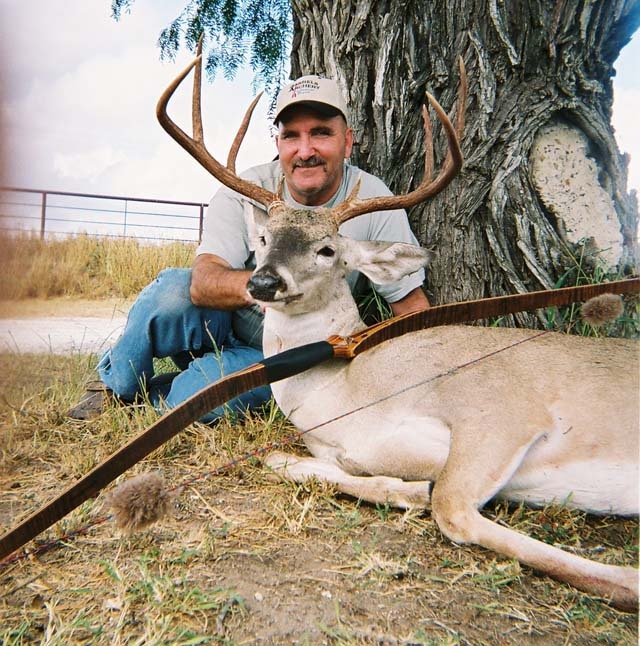 I was shooting a Sarrels Superstition take-down longbow, aluminum arrows, and a Magnus 140 grain, 2-blade broadhead with a 100 grain steel insert. He is my best buck to date.